Is It Normal to get Leg Cramps During Pregnancy? A pregnant woman should always consult her gynecologist if she has questions about leg cramps or any other health concern. Leg cramps during pregnancy seem to be especially common at bedtime. A woman's body goes through many changes during pregnancy, and leg cramps are not uncommon. It is commonplace to get leg cramps during pregnancy. Most women will experience leg cramps in the calves at some point during pregnancy, and these cramps tend to increase in frequency, or get worse, as the pregnancy progresses. Doctors typically attribute this to the increased weight from the baby putting extra pressure on the leg muscles, as well as impacting the blood flow to the muscles of the leg. 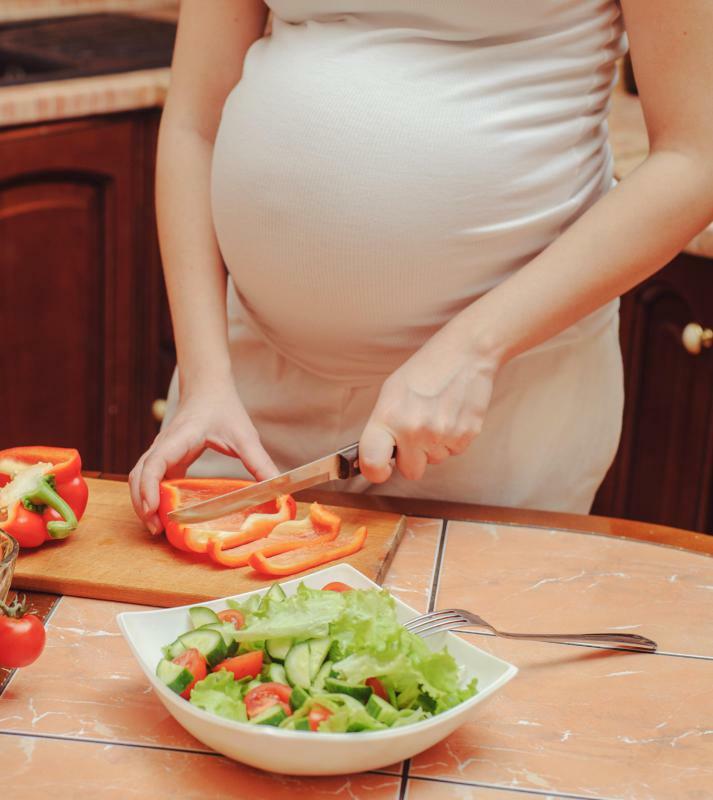 Some caregivers recommend taking calcium supplements, getting plenty of calcium from food sources, and eating foods that contain potassium, such as bananas, to help avert leg cramps during pregnancy. Leg cramps during pregnancy seem to be especially common at bedtime or in the middle of the night, which can be quite painful and can affect sleep. Experts recommend movement throughout the day, if possible, in order to prevent the cramps from happening. For instance, rather than sitting at a desk all day, get up every once in a while and walk around the office, and don't sit with the legs crossed. Similarly, don't spend too long standing either; be sure to lie down during the day and rest as needed. Gentle exercise may also help to remedy leg cramps during pregnancy. Even something as simple as stretching the calf muscles by pointing the heel towards the ground and lengthening the calves may reduce the frequency and severity of the discomfort, and can help to get rid of one more quickly if it occurs. Prenatal yoga or Pilates can also help to stretch the muscles and keep the body flexible, which can make the pregnancy and delivery easier overall, not just prevent leg cramps. Even taking a brief walk in the afternoon can be a helpful way to keep the blood flowing to the legs and keep the muscles strong; just be sure that it is safe to do so. Eating a calcium and potassium-rich diet and drinking lots of water throughout the day may also help to prevent leg cramps during pregnancy, and is also important for healthy growth and development of the baby. While leg cramps during pregnancy are normal, and usually no cause for concern, it is possible to develop a blood clot in the leg, which will generally cause swelling and pain to the touch, or it may just feel like a pain in the leg that doesn't go away. If this occurs, be sure to visit a doctor immediately for treatment. How do I Tell if I Have Pregnancy Cramps or Period Cramps? What are the Most Common Causes of Pregnancy Cramps? What is the Fastest Way to Stop Leg Cramps? How can I Prevent Nocturnal Leg Cramps? How do I Use Soap for Leg Cramps? What is the Most Common Cause of Leg Cramps? What Causes Restless Leg Syndrome in Pregnancy?